Matt Mc Bradley Wall Street Journal Correspondent in Egypt – I did n’t know that you also get paid to insult and offend Egyptians, beside faking News! Some International News Medias correspondents reported that Egyptians and the Egyptian Government were surprised and angry by the US decision of cutting Military Aid to Egypt! 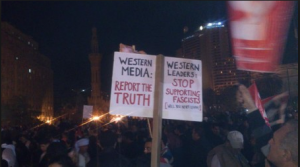 I don’t know from where they got that false news, but It really doesn’t surprise me anymore, that many of the International News Medias Correspondents in Egypt, are publishing lies about many events happening in our country, That’s their specialty anyway,”faking news about Egypt”. Egyptians started many campaigns on the social medias which were adopted by many political parties, revolutionaries Currents and Egyptian Activists, long before the 30th of June 2013 Revolution, calling for Cutting the US Aid to Egypt. They even managed to gather many forms signed by Egyptians asking to cut the US Aid to Egypt. All those movements were active on the cutting US Aid campaigns based on the Pulse of the Egyptian People, who not only wanted to get back their freedom, but also were determined to live with dignity. And if the Aid is going to be the tool of USA to punish Egypt’s 30/6/2013 revolution, then they can take their Aid and go Wherever! The US decision of cutting the Military Aid to Egypt, was not at all a surprise to the majority of Egyptians, because it is the Egyptians who asked for it in the first place and before the 30th of June 2013. On the Other hand, if the reaction of the Egyptian Government was a kind of surprise in relation to US Aid Cut, it was not that they were not expecting it or angry; The surprised reaction of the Egyptian Government was due to the timing of that decision, and not the principle of cutting the Military Aid because that was expected after the Egyptian Revolution 30/6/2013. The government surprise was due to the timing of cutting US Aid, while Egypt is fighting Terrorism in the inside, facing pressures and barefaced interference from the outside, local tourism is doing well right now, tourism in general is not great, but it’s seeing a little bit of breakthrough. The US obviously is working hard on restoring chaos back in Egypt every time we achieve a little progress, and this is only serving Muslim Brotherhood and their supporters illusion and Agenda to paralyze the country. But Like the Egyptians say: Whoever think is really covered by the US support, is in reality naked! Egyptians realize that The Egyptian military is getting more aid cuts, because General Al-Sisi, Egyptian Minister Of Defense refused to restore back the Murderers and the Terrorists Muslim Brotherhood to power again, despite the barefaced insolence interference and pressures practices Of US Administration on The Egyptian Military. 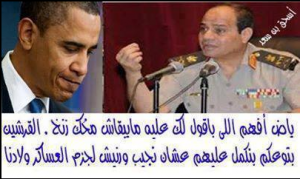 The Military Leader General Sisi, acting in favor to Egyptians will and not the US will. General Sisi takes his orders from Egyptian will, and not from Americans. Since the 3rd of July 2013 and after Egyptians got down the Muslim Brotherhood Fascist Regime, The US is trying hard to twist Egypt’s hands and force Egyptians to kneel, Because the Egyptian 30/6/2013 Revolution screwed the US Creative Chaos Project and what they call “The Arab Spring”, in the whole Middle East. Some of the foreign Medias reporters claim that Egyptians are Hysterical in believing the theory of Conspiracy against Egypt led and supported by The US Administration. Well, yes we believe in the US conspiracy against Egypt and it proves it self. How about you guys go ahead and prove to us that there isn’t one! In July 2013, Washington decided to delay the delivery of F-16 Military Planes to Egypt. In August 2013 and right after the disengagement of the Armed terror MB Sit-IN in Rabaa and Nahda Squares in Cairo, USA cancelled the Bright Stars Maneuvers with the Egyptian Military, which were supposed to take place in September 2013. The US$ 260 Million Dollars Economical Aid to Egypt, were suspended, and also tanks and F-16 Planes to the Egyptian Military and Apache helicopters were suspended. After 1979 the Peace treaty between Egypt and Israel, US was paying a fixed annual amount to Egypt. The total amount of Military and Economical US AID to Egypt was 2.1 Billion Dollars, then it decreased to 1.5 Billion Dollars in 2012. The economical US Aid to Egypt started by 815 Millions Dollars and now it decreased 200 Million Dollars. The Military US Aid was fixed 1.3 Billion Dollars. Egypt got the total of US Economical Aid since 1979 until 2012, About 23 Billion Dollars. From 1979 till 1998 the US Aid was 815 Million Dollars. The US economical AID to Egypt was reduced with 5% annually, since 1999 for 10 years to reach 411 Million Dollars in 2008. Economical US Aid covered the following aspects: Economical development, Infrastructure, Education, Health, Civil Community and Democracy. 1.3 US Billion Dollars annually. The Total of US Military Aid to Egypt from 1979 till 2012 reached 44.2 Billion Dollars. The US Military Aid was essentially to modernize the Egyptian Military Equipment of replacing the Russian Equipment by American ones. In 2005 the US Military Aid represented 80% from the Egyptian Military Contracts. American Aircraft Rights in crossing The Egyptian Airspace. American Ships and Military Battleships priority in crossing the Suez Canal. Using and hiring American Experts training in all the US AID Projects to Egypt. Some years ago, I know for definite that Americans employees who worked for the US Embassy or US AID, were not paying any taxes to the Egyptian government, if they were ending their contracts and selling any properties they have before they go back to their country. I don’t know if that’s still the case right now or have changed. USA Is No Longer Have any Powerful Influence Over Egypt, since the 30th of June 2013 Revolution. Who is really losing here by cutting the USA Aid to Egypt, America or Egypt?! Egyptians are happy and relieved of that Burden US Aid, and USA should consider cutting their Aid permanently to Egypt and not temporarily. Egyptians will never forget the USA finance and support to the Muslim Brotherhood terrorists who tortured and killed their Children. USA doesn’t realize that the more pressure they put on Egyptians, the more Egyptians are determined to continue walking in their Freedom and independence Path in all aspects. 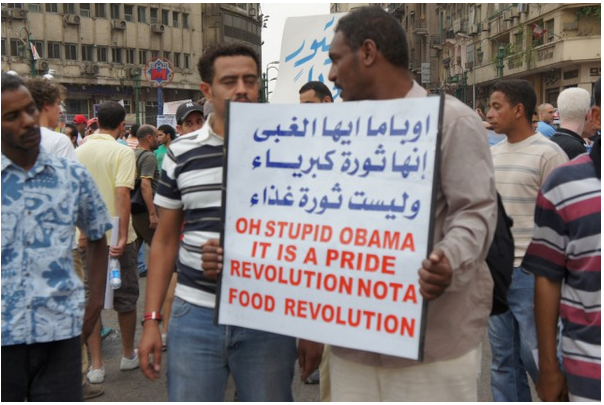 Egyptians don’t hate American people and know very well the difference between the US Administration and the American People. But American people must realize that their US administration is spreading hatred between different cultures because of the US barefaced interference in the Egyptian internal affairs. Egypt must look to its other allies like Russia and China or another strategic partner to replace U.S. and that’s not impossible. Experts say will take some time, but not hard nor impossible. Live with dignity means live like Egyptians. Egyptians to Obama: Take your Foreign Aid And ‘Go To Hell’. 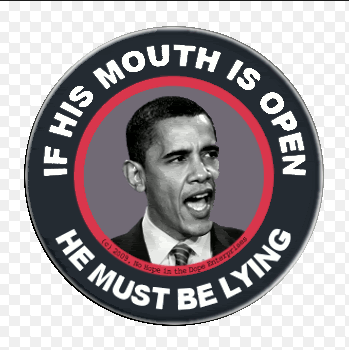 Obama bin Laden, Don’t lecture Egyptians on how to deal with the Brotherhood’s Terrorism.